Before her time at LEAP, the only thing Nathalie knew about chickens was eating them for dinner! So how did a young blind woman from the Bronx end up processing chickens for meat on a small farm in Vermont? When Nathalie wasn’t exploring Bette Midler’s discography or working on her Fran Drescher impression, she was looking for the next big step out of her comfort zone. Nathalie joined the LEAP Program the summer of 2018 in a 3 week residential program which provides on the job training. 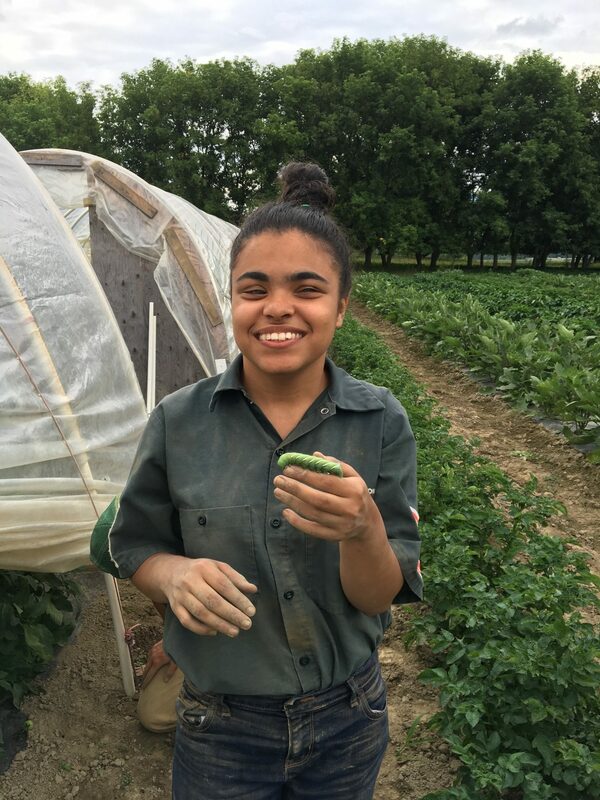 Nathalie expressed her love of trying new things to LEAP staff and was placed at the Farm at the Vermont Youth Conservation Corps, one of LEAP’s partner work sites. One day, the farm gave Nathalie a choice: would you like to prepare lunch or process meat birds? “Processing meat birds”meant an on-farm slaughter which starts with a live chicken and ends with a packaged product. Nathalie didn’t hesitate. She chose processing bids!